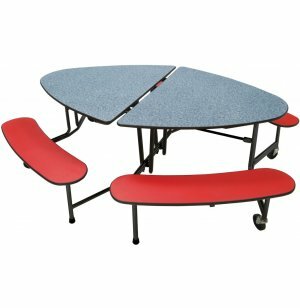 Four benches are set off at angles along the sides of the ellipse so you can place tables closer together without crowding those seated. 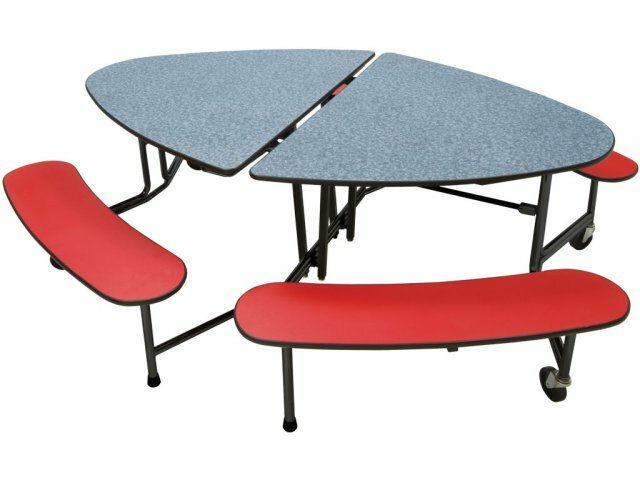 The unique table shape therefore provides more seating in the same area than conventional cafeteria tables. How much more? In a 100 square-foot room that would typically hold 81 conventional round tables (60 in. dia.) 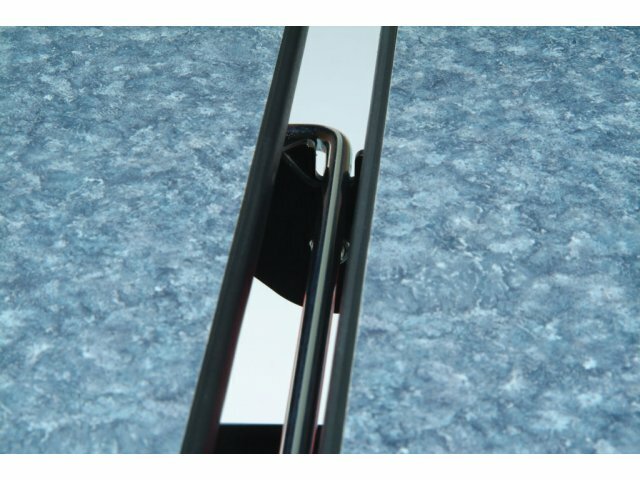 you can easily fit 110 Mitchell Oval Tables. That's a 35 percent increase in seating capacity! An added plus for teachers and administrators is a much quieter cafeteria atmosphere - since students can all see each other and sit within earshot, they have no need to yell in order to be heard. 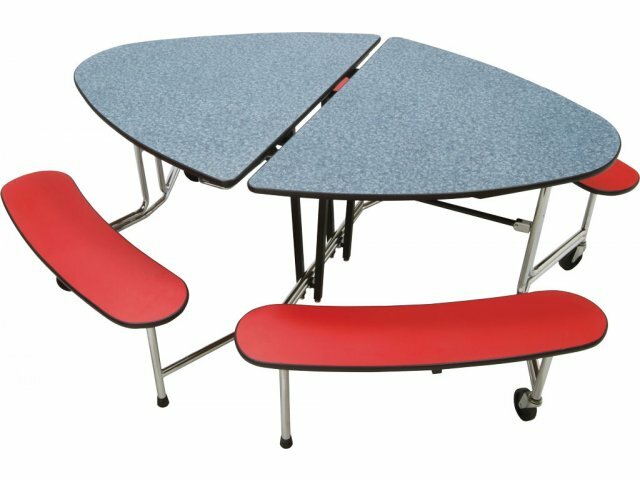 Maximize Your Space: The elliptical design lets you fit 35% more tables in the same area than you would be able to with traditional round tables. 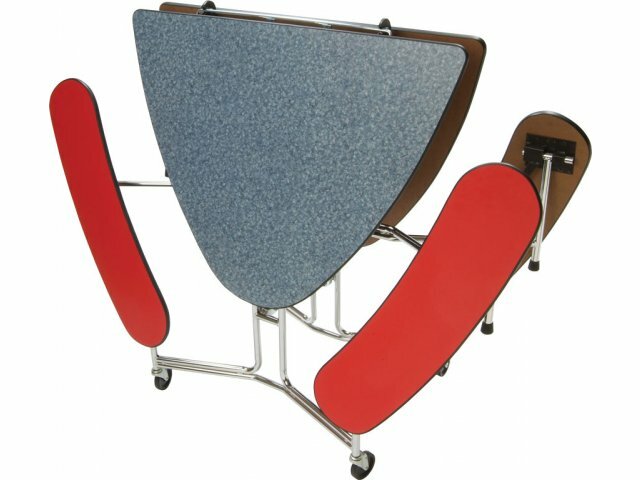 Easy Mobility: These tables come equipped with 4" heavy-duty casters. Seats Eight Comfortably: Double seat benches are 40 in. long x 10 in. deep with 10-in. 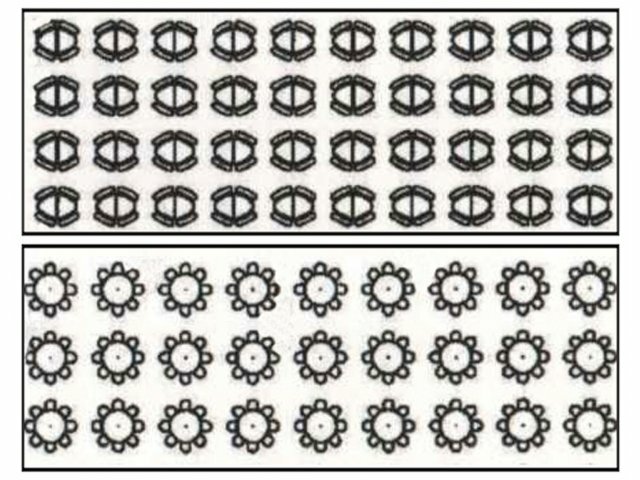 rounded ends. 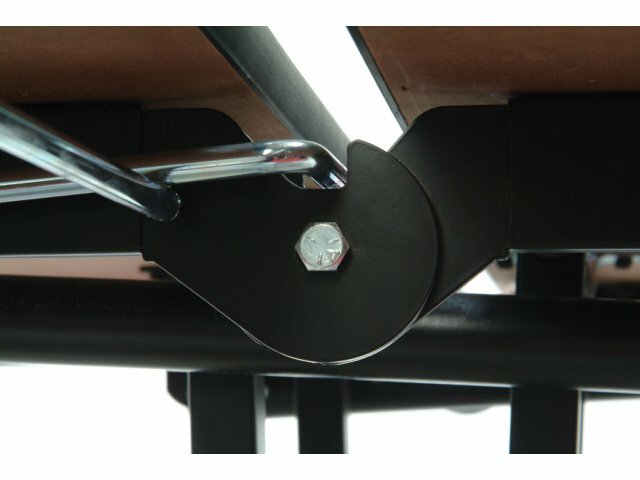 Safe: Unique dual-purpose lock holds table securely in both up and down position. Built to Last: 14-gauge steel frame with black powder-coated finish will withstand the rigors of everyday use. 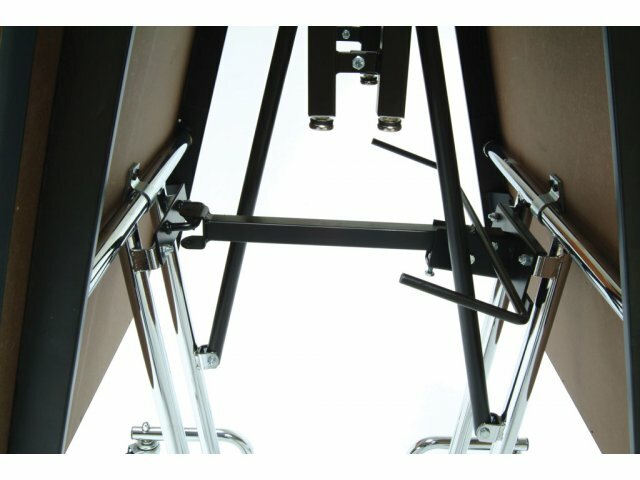 Easy to Operate: Torsion-bar system makes folding and unfolding these tables very easy. Match any Décor: Choose from our popular list of colors or contact us for hundreds of other color choices.